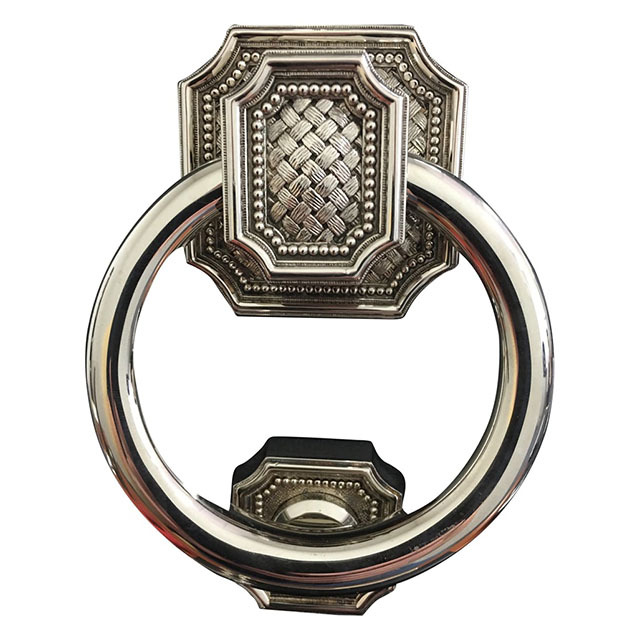 Door Knocker Weave - Designer's Brass Inc. The highly detailed Weave design has an intricate weave pattern surrounded and accented by a delicate beading creating a layer of fabric and art. Overall Height 5 1/2" – Overall Width 4" – Diameter Ring 4" – Center to Center Mounting 3 1/2"